Check out Brandsaver’s new coupons for Sept 2013. 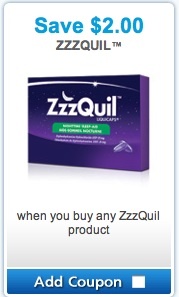 There is a new zzzQuil coupon that you can select at the bottom of the page. Select the coupon, along with 3 others and proceed with your order. At Brandsaver.ca, you need a minimum of 4 coupons to place an order. Brandsaver will mail out the coupons to you an you will receive them within 3-4 weeks. This is a zzzQuil coupon to Save $2 on any zzzQuil sleep-aid products. zzzQuil coupon is valid only in Canada. 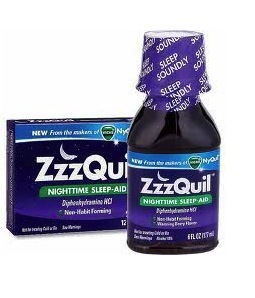 You will find zzzQuil sleep-aid products in any drugstore, Shoppers, Rexall and more. Get a beautiful night’s sleep with ZzzQuil™, from the makers of Vicks® NyQuil®. ZzzQuil is a non-habit-forming sleep-aid for the relief of occasional sleeplessness that helps you sleep soundly, so you can wake up feeling refreshed.